Doing last-minute flower shopping for a spring wedding? Wondering what’s in bloom so you’ll have the freshest, most springtime-ish blossoms to decorate your wedding ceremony or reception space? There are tons of gorgeous flowers springing up right now, and depending on where you live, you may be able to get your hands on all of them. Use the following spring flower guide to find floral sections that are readily available right now in North America. If you live somewhere else in the world, but want these flowers at your spring wedding, we’re guessing you’ll be able to find a floral seller online who can ship them to you quickly. Alstroemeria are small springtime flowers with bright blooms. They are sure to make your wedding spaces delightful, as they’ll bring amazing color and depth to any arrangement. Alstroemeria grow in clusters and they sometimes have freckled petals. You can use them on their own or as a backdrop to more grand blooms. Alstroemeria typically blossom in shades of white, orange, yellow, pink, red, lavender, and purple. Choose amaryllis for your spring wedding if you want to make a bold statement and offer maximum impact with your flower displays. These blooms are known for their dramatic trumpet shape, which usually includes two to five petals. Amaryllis have an extra-long stalk, making them perfect for arrangements and bouquets that you want a lot of attention drawn to. Amaryllis can be found in pink, salmon, pale yellow, white, pale green, and red. 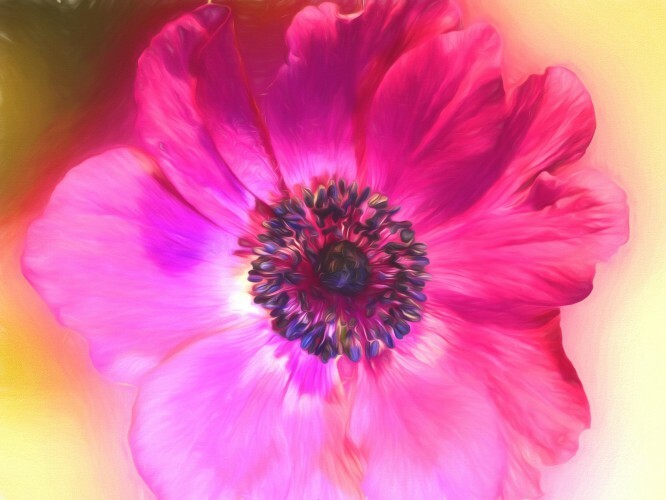 Anemone are steeped in legends of love. These flowers, according to Greek mythology, are said to have sprung up from blood shed by Aphrodite’s lover Adonis, when he died. They’re unscented blooms that look stunning and elegant in any setting. Anemone are relatives of the ranunculus and peony, and they’re known for their vibrantly colored petals and dark inky centers. Choose glorious purple or white anemone for a spring wedding. In addition to these flowers, bouvardia and calla lily are beautiful choices for spring wedding arrangements and bouquets. Doing last-minute flower shopping for a spring wedding? Wondering what’s in bloom so you’ll have the freshest, most springtime-ish blossoms to decorate your wedding ceremony or reception space?There are tons of gorgeous flowers springing up right now, and depending on where you live, you may be able to get your hands on all of them.Use the following spring flower guide to find floral sections that are readily available right now in North America. If you live somewhere else in the world, but want these flowers at your spring wedding, we’re guessing you’ll be able to find a floral seller online who can ship them to you quickly.